At Barrett Homes we’re passionate about giving back to the local community. We’re currently doing this via a number of community projects and sponsorship initiatives which you can view below. 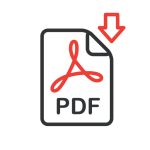 If you have a worthy cause and you’d like to apply for a Barrett Homes sponsorship please see our criteria documentation and application form below. This year Barrett Homes is proudly sponsoring the We Run The Night Running Festival, held at Mount Maunganui. This is a fun festival with distances of 7km, 14km and 21km along with a new 3km Kids dash. The track is the road alongside the beautiful beaches of Mount Maunganui. In particular we are sponsoring the volunteers. The volunteers play a major part in helping make events like this possible, sponsoring them is our way of giving thanks and showing appreciation for all their hard work! Staff are also going to be volunteering and participating at the event. We’re proud sponsors of the Steven Adams Basketball Pathways Academy. Designed to foster young basketball talent and build skills and confidence via camps run by Adam’s himself. Adam’s is passionate about giving back to the sport and county that has given him so much, and we’re just happy to be a small part of this fantastic programme. 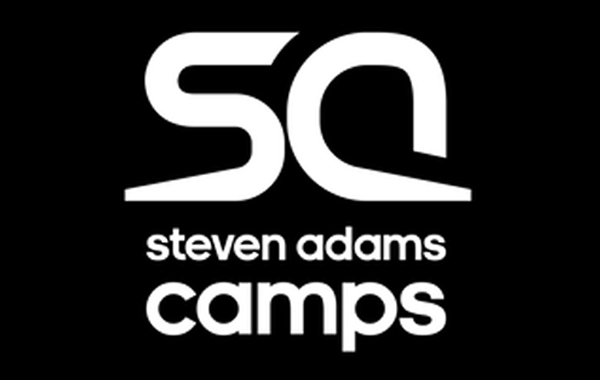 Find out more on the Steven Adams Camps. Opportunities to help protect what is a painstakingly restored piece of local history don’t come around every day. 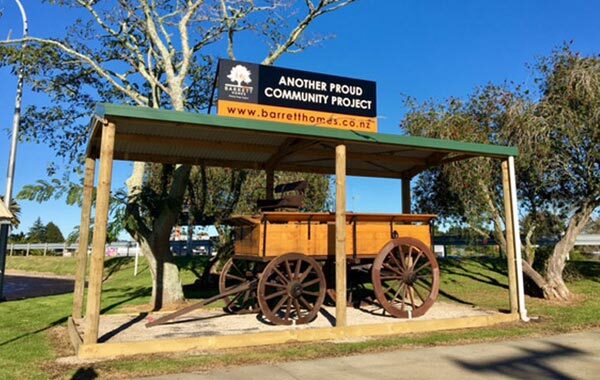 The local Paengaroa community recently completed the restoration of a historic wagon, also know as “The Wagon Project”. We were happy to chip in by providing a shelter structure to protect the wagon from the elements for many years to come. 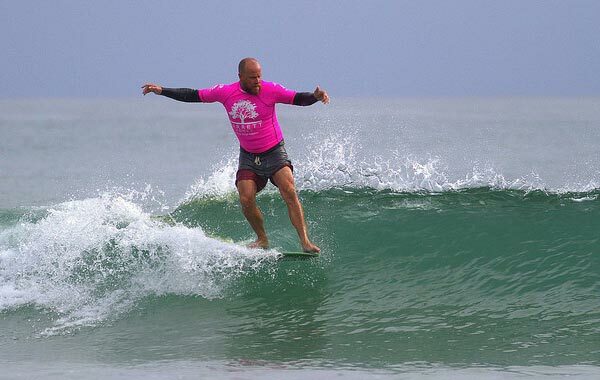 We’re proud to be sponsoring the annual NZ Longboard & SUP Open held in Papamoa. This great local community event attracts some of NZ’s best Longboard and Stand Up Paddle board talent. Whether or not you’re a surfer, watching these guys battle it out in their heats is great to see and inspiring for the next generation of wave riders. Check out some pics from the 2017 action on our blog. Bring on the 2018 event! 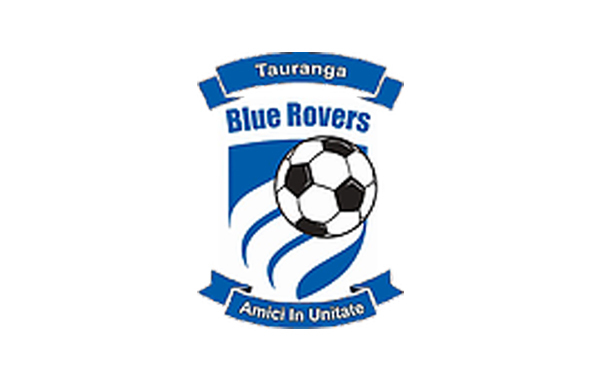 We’re proud to support the Tauranga Blue Rovers Football Club! 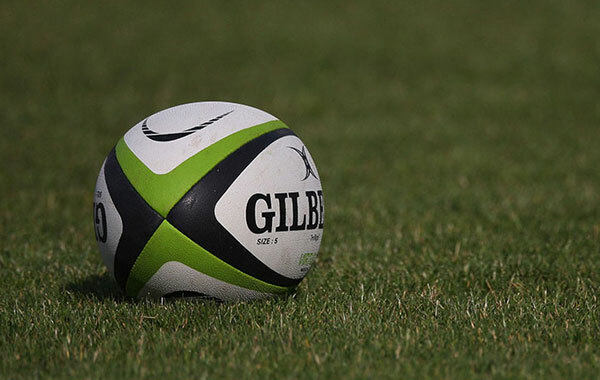 From humble beginnings with a single 11th grade team, the Club has expanded and enters a range of local Tauranga teams from 4-13 year old players right through to seniors. Find out more about the Blue Rovers FC. The Omokoroa Bowling Club season starts in early March 2018, and we’re proud to be part of this by sponsoring the two day Open Mixed Classic Fours Tournament. 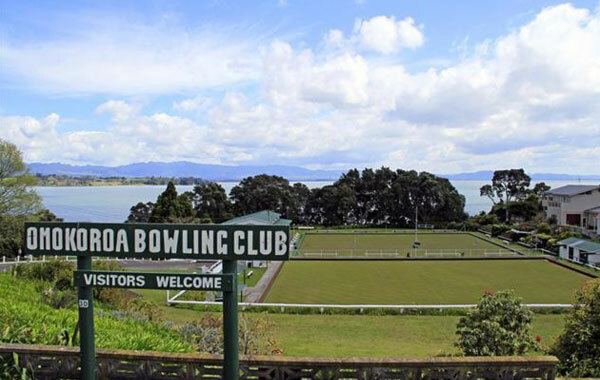 Find out more about the Omokoroa Bowling Club and 2018 event dates. The Barrett team were stoked to do a little bit for the Cromwell Junior Rugby team “The U8 Blues” by proving some banners and gear-bag storage.